Neenah Coldenhove has made great strides in the field of safe working in 2017 and is presenting itself as a progressive employer. The Royal Association of Dutch Paper and Cardboard Manufacturers (VNP in Dutch) has therefore awarded Neenah Coldenhove the 2017 Arbo Trophy. 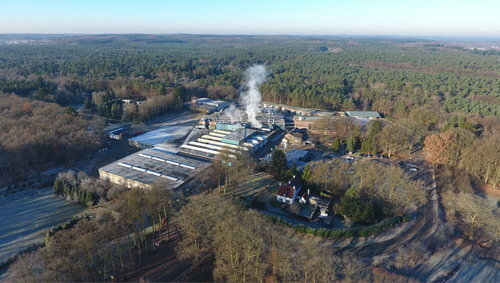 The award was presented at the company site of Neenah Coldenhove in the forests of Eerbeek. In the presence of the Safe Working team, Process Operator Jeroen Elshof received the prize from VNP coordinator Erwin Heijnsbroek. As a process operator, Jeroen Elshof, just like his colleagues, was directly involved in making the machinery and working methods safer in a planned and step-by-step manner: “We have become more aware of unsafe situations and we remind each other more actively. We, as colleagues, are now taking better care of each other”. The ARBO trophy is awarded to the company as a whole and covers the period of one year.